Kenny’s focus is on revenue growth, business development and aligning strategic partners in the ASC market. 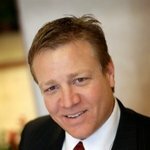 Kenny brings over 30 years of success in the healthcare industry and his extensive background in mergers and acquisitions for ASCs and surgical hospitals has uniquely positioned him to create momentum for ShareSafe. Kenny has served as President of MedFocus, Inc., and Senior Vice President Business Development of NueHealth. Robert Hanson and Teecie Cozad experienced a highly successful tenure with Kenny at Vital Signs (now GE Medical) and are pleased to take advantage of his leadership for ShareSafe. Kenny is a graduate of the University of Alabama where he completed his Bachelor’s of Business Management & Marketing degrees.